The postseason in any league is always a good time for inspiration. Digital teams put their best foot forward and there is so much emotion surrounding the games. This Championship Sunday was no different. 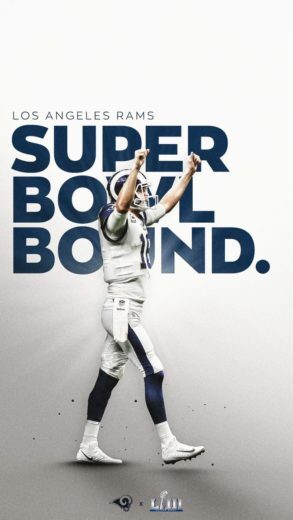 Below are a few highlights from the digital teams involved, from the Chiefs hype-like content to the Rams and Patriots creative. When teams are on a stage like the playoffs, fans have an extra kind of excitement, energy and anticipation. Their emotions are high and they actually crave more content (as long as it’s not just noise). And, the Chiefs did a great job of playing into the anticipation of the start of the game. The Chiefs had long-form hype videos leading into the game, but drumming up excitement did not stop there. They also had short and sweet clips that counted down the hours until kickoff. The countdown videos featured dramatic footage and music, playing into fans’ emotions of waiting for kickoff. In addition to the hype pieces, the Chiefs created a “Good Luck, Dad” video showing players, coaches and executive staff receive good luck messages from their children (and fur children). This content feels persona, gives fans a little inside view and plays into the lead up of the moment. Golden. Anticipation is a powerful emotion. Leading into big games or the start of the season, it’s something teams should take advantage of. When emotions are high fans are more likely to be captive, engage and share. Saints serve up different vantage points. The Saints social team seemed to have been dispatched everywhere during Championship Sunday. Whether it was outside the Dome, with the crowds or inside the huddle, they committed to capturing a variety of moments. The result was coverage from all different vantage points, giving fans a feel for the atmosphere. Part of a strong gameday coverage means being the eyes and ears for your fans. When teams commit to roaming and capturing the atmosphere and inside moments, as well as what happens from the sidelines, coverage becomes more well-rounded. Make fans feel part of the day by committing to content beyond the big highlights. When you open up your content strategy well beyond the scores, it adds depths to your content and presence. Don’t forget about the other vantage points in and around the game. 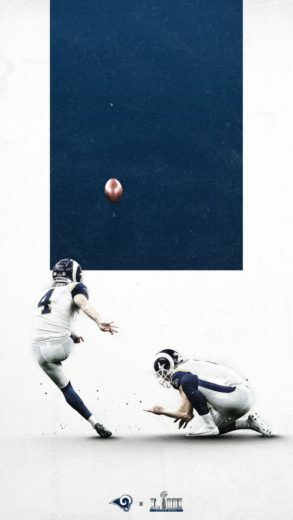 Patriots & Rams serve up design inspiration. A strong visual identity is a huge key to standing out from the crowd. If teams want to put their best foot forward, they must create a look and feel that is ownable. After all, social media is the front door to brands today. 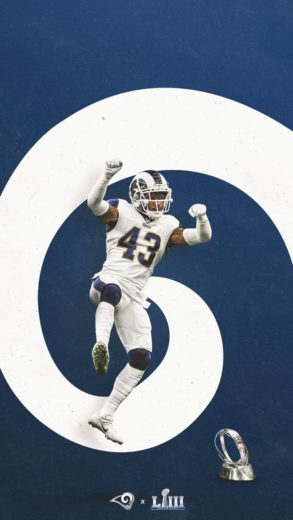 The above are wallpapers from the Rams (so sharp). Came into the kingdom and defended the crown. Back to back to back AFC Champions!!! NFL gets original with illustrations. The NFL has stepped up their original and illustrations like the ones below are a big part of that. Illustrations are a great opportunity to create something original. Not only do they stand out in feed, but they often sit at the intersection of the brand and pop culture. Any team looking to mix up their content or add some flair should consider illustrations. From stellar creative to unique illustrations, hopefully, something served as inspiration. What stood out to on Championship Sunday?